Whirling Dervish Tragacanth Doll is designed by Selma Kadriye Yurtlu and is hand made. Whirling Dervish is a Mevlevi dervish whirling during Semah Ceremony in Sufi Lodge. Dimensions: Frame: Lenght 25, width 25, depth 4,5 cm, Inside: length 23, width 23 cm. Tragacanth: It's the juice of geven otu (astragalus) that grows in Southern and Southeastern Anatolia Regions. Due to its strong adhesive property it is used in doll and marbling art. 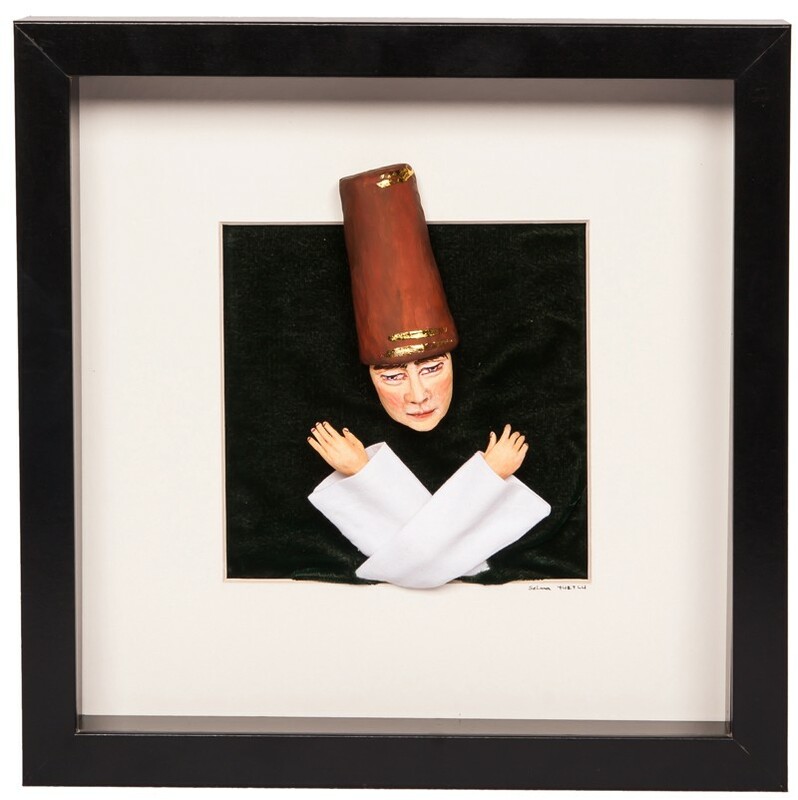 The artist working on tracagant doll since 1991 in Istanbul Sanatlar Bazaar, took ornamentation and miniature courses between 1994-2000 in Cerrahpaşa Medical Faculty, History of Medicine Deontology Department. She has been awarded the second prize in 1997 in National Doll Competition organized by Izmir Metropolitan Municipality. She worked as the educator of art of folkloric doll manufacture for 10 months in "Education of Entrepreneur Artist in Traditional Turkish Ornamentation and Hand Craft Areas" financed by EU in 2005. 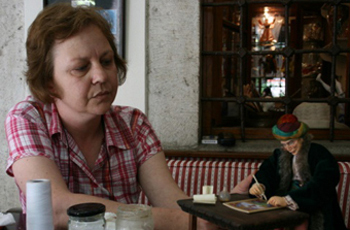 She took painting lessons from Ebulfez Ferecoğlu and manufactured 70 cm long thread puppets representing various artists to support the art of puppetry.